Using dimensions along with account schedules is when you really start to get powerful with your reporting. So far, we’ve only looked at general ledger accounts in rows and periods of time in columns, which is great for financial reporting. However, once you incorporate dimensions you can move beyond just financial reporting and produce other types of reports. There are three things you need to know about using dimensions with account schedules. 1. If you are using global dimensions, you can get to them from everywhere in NAV, including account schedules. The company shown below uses Department and Project as their global dimensions, so the account schedule filtering options shown are: Department, Project, Dimension 3, and Dimension 4. If you don’t have dimensions defined, you’ll just see Dimension 1, Dimension 2, Dimension 3, and Dimension 4 as your available options. 2. 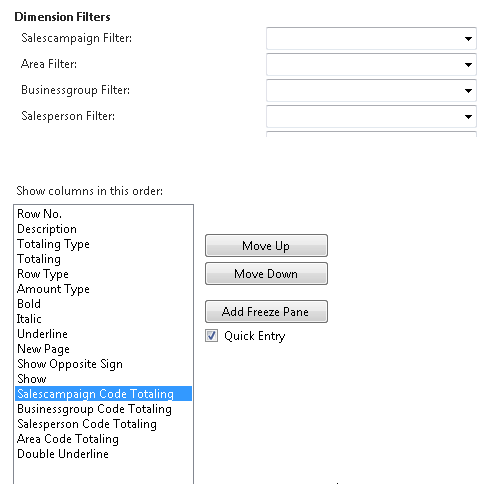 You can use dimensions in rows or in columns or in both rows and columns at the same time! 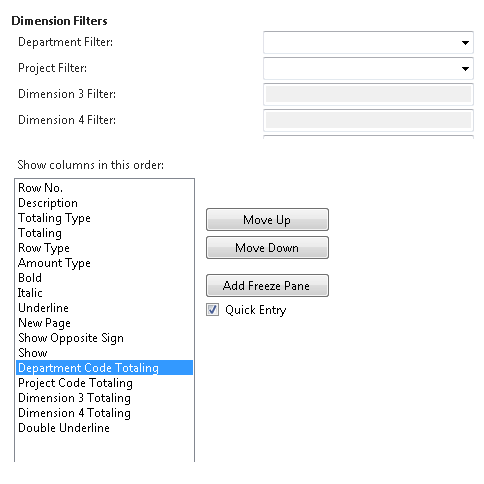 Look in the screen shot above – you have the option of producing totaling by dimension for the same dimensions you have defined in your filters. Think of the possibilities: for this company you could simply see departments in all the rows and a cross section of projects in the columns, effectively giving you a one screen report of projects by department. The general ledger accounts are still there in the design of the rows, and the dates are still there in the filtering of the overall report, but you’ve got two more ways to expand your reporting. Now you’ve moved beyond financial reporting and expanded into reporting on operational areas. 3. You can change the dimensions you report on with account schedules. You are not limited to just the global dimensions, you can actually report on four dimensions in any combination, effectively getting you access to any of the unlimited number of dimensions you can have. In order to do this, you need to define an analysis view, which we’ll go over in the next post, but for now, take a look at how that is different, both in the filtering as well as in the dimension totaling areas of account schedules. 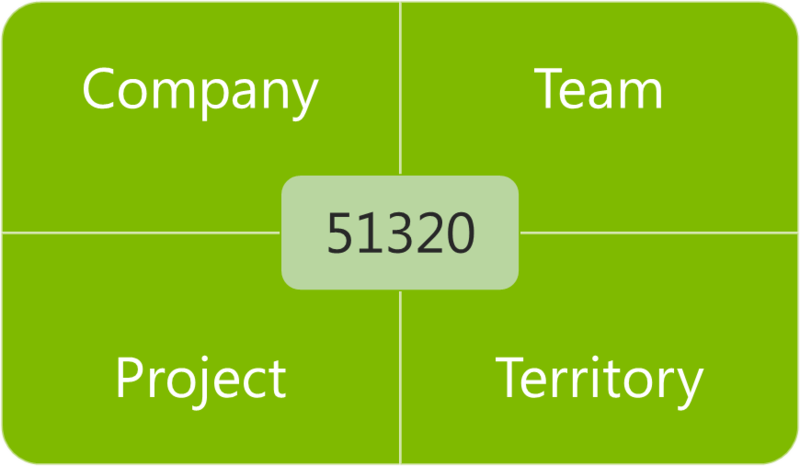 This example has an analysis view defined for four different dimensions, which would allow the company to look at entirely different things with their reports. For a much more in depth discussion of dimensions, take a look at this series devoted to just that topic: 15 Days of Dimensions.